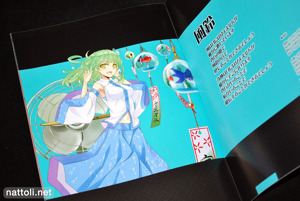 Toho Antique is B5-sized and 30-pages including the covers. 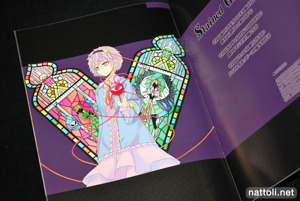 The inside covers are used as pages as well, although the illustrations only appear on every other page. 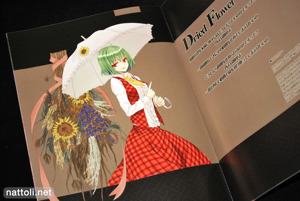 There are a total of 13 illustrations counting the cover, with Marisa Kirisama being the only character that appears twice in two different illustrations. Though I like the theme, the illustrations aren't particularly exciting with the characters in rather stationary poses. 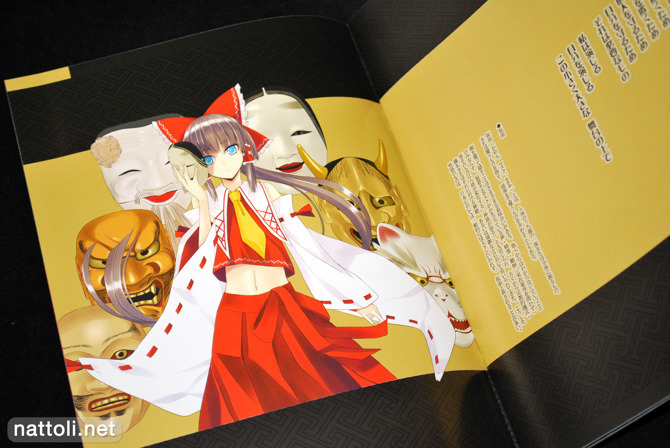 Touhou is an action shooter game, and I think some of the best illustrations that come out for it are able to keep that fact in mind. I wouldn't recommend Toho Antique, there are just too many nicer collections out there, and while the idea is original I just don't feel like it was presented in an interesting way.